New York Yankees’ Brett Gardner (Gardy) is the longest tenured player on the roster and is the unofficial captain in the clubhouse. As the lead-off hitter, he does a great job of getting on base for the middle of the order to drive him in. 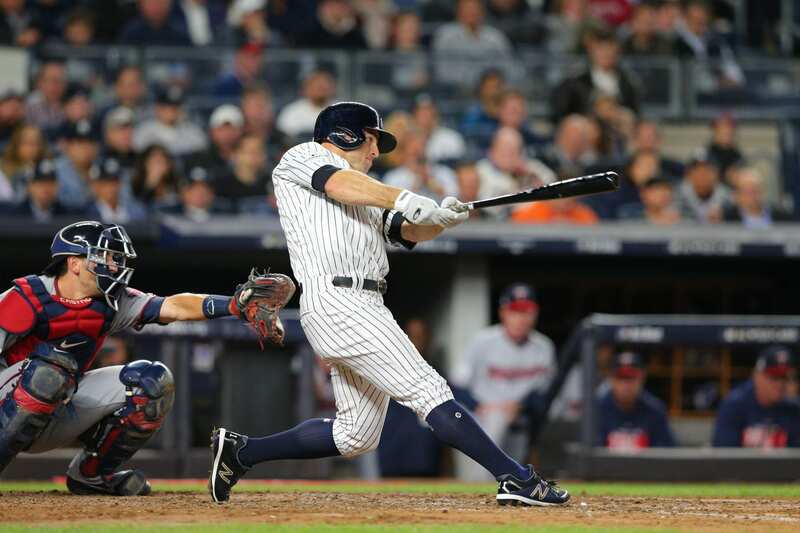 Even batting lead-off Gardy posted great power numbers and hit his career high in homers last season. He is a born leader who as helped Judge, Sanchez and Bird become great players on and off the field. Gardner’s numbers last season, according to MLB.com. Hitting 21 bombs from the leadoff position is incredible and shows how deep the Yankees lineup has excelled. Gardy has a great approach at the plate and makes pitchers work to get him out. He rarely chases balls out of the zone; forcing pitchers to throw strikes. Gardy’s defense should not be overlooked. The amount of run saving slides and dives he has made in left field have helped propel the Yankees to many wins over his career. The Yankees leader did win a Golden Glove award in 2016, and in my opinion, deserved one last season. Gardy played incredible in 17′, and should be in the running for a Golden Glove. Brett showed that he was a true leader in the playoffs last season. In the wild card game he smashed a solo homer down the right field line that helped the Yankees steal a win. Also, in game 5 of the ALDS he roped a single to right field and plated two important insurance runs that set up Chapman’s close. Gardy is in the final season of his contract and I do not believe he will be resigned. The Yankees have loads of talent in the minors waiting to get their chance. If this is Gardy’s last season, the Yankees should send off their leader with a World Series trophy. Gardy is someone who every team wishes they had in their clubhouse.